New Changes at Smith's Food and Drug Stores! FREE App! Smith's has made some changes in order to be a better neighborhood grocery store. The new average time customers wait in line is 28 seconds!! I haven't waited in a line at Smith's in quite awhile so I think they've been better for awhile now. They are also lowering prices on a lot of organic and natural foods! 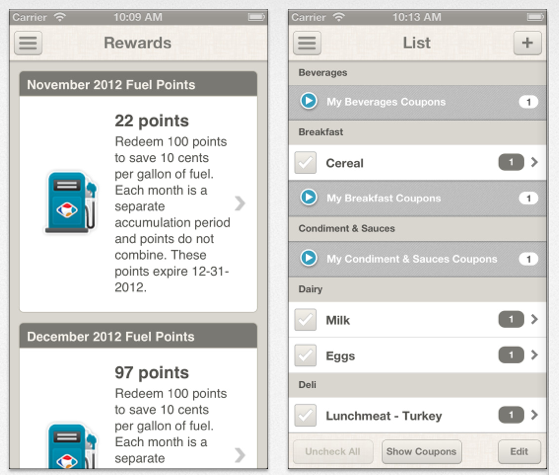 Another change is that there is a FREE Smith's Mobile App! 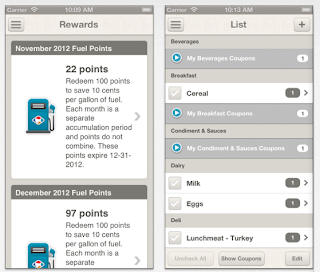 You can view weekly ads, download coupons to your loyalty card, plus you can use the app AS your loyalty card! QueVision: Our stores now feature a new technology that will help our staff be the most efficient they can be in making sure you have the fastest service in the industry. Kroger is the only grocery chain in the US to utilize this technology and Smith’s customers now experiencing wait time at the check stands well under one minute (about 28 seconds). Customer Service: Smith’s has rolled out a new commitment to make any situation right with our customers. If a product is not satisfactory, customers can now return the item with no questions asked and no receipt necessary. Lower Prices: We have lowered prices on thousands of items with special emphasis in the commodities of Organic and Natural Foods, Pet Food and General Merchandise.